There's more to our company than landscaping. Contact Clark's Landscaping for landscape maintenance in Falls Church, VA. Our services include gutter cleaning and snow removal. 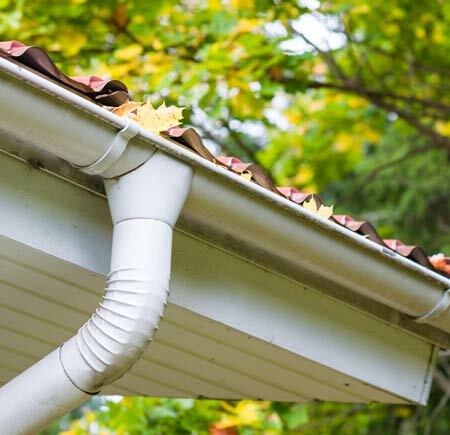 Your gutters are your first line of defense against water damage. A clogged gutter may result in water making its way into your foundation and penetrating into your basement. We provide gutter cleaning which involves us going up on your roof and remove any leaves or debris that have collected in your gutter to ensure rainwater flows safely away from your home. Make sure your property is safe and accessible all winter long. We shovel walkways, driveways, and sidewalks at low hourly rates. Whether you want a place to park or a path to your mailbox, we'll make sure the area is free of snow. We have an ATV with a plow attached that is very mobile and won't damage your driveway with our driveway snow removal services.